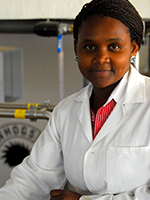 Apiwe Nxusani Mawela is one of the hugely passionate female brewers within the African brewing industry. Born and raised in a small village in Butterworth, Eastern Cape, she was first intrigued by the science of beer making when she visited an open day at the former Rand Afrikaans University while in standard 9 (Grade 11). After matric she went and completed a BSc Honours qualification in Microbiology and later joined SABLtd in 2006 through the company’s graduate recruitment programme. She underwent an intensive 18 months’ traineeship to attain status of ‘Brewer’ within the SABMiller group. She has completed both the Diploma in Brewing and Master Brewer qualifications through the Institute of Brewing and Distilling. In 2010, Apiwe became the first person in South Africa to complete the National Diploma in Clear Fermented Beverages (NQF 6) through the FoodBev SETA. Apiwe worked for SABMiller holding different positions within the company from 2006 until she left in 2014 to join Brewhogs Microbrewery as a Shareholder and BrewMaster/General Manager. Her passion for brewing saw Apiwe start her own company Brewsters Craft in 2015. Building on the expertise gained over the years, Apiwe left Brewhogs end of 2017 to focus on and expand on her company Brewsters Craft to form its three subsidiaries – Academy, Laboratory and Consultant Brewery. Apiwe is very passionate about Africa, its people and the continents’ contribution to the global brewing stage. She has devoted a lot of her energies to the advancement of the African brewing community. Apiwe has been part of the IBD Africa Committee since 2014, when she became the Craft Brewers Representative within the committee and later vice chairperson and currently Chairperson. Alastair Kennedy has a First Class Honours Degree (B.Sc.) in Biochemistry from HeriotWattUniversity, Edinburgh and has the Master Brewer qualification (with Honours) from the Institute of Brewing. 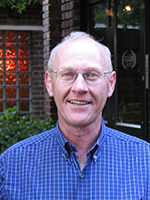 With a total of 39 years experience in the brewing industry, Alastair has spent 22 years in the UK with Allied Breweries (latterly Carlsberg–Tetley) and 17 years with SAB Ltd / SABMiller. Allied Breweries operated 8 breweries and 2 maltings in the UK and in Holland and Alastair held a number of line management positions in 3 different breweries ,which included Brewing Manager, Technical Manager (Brewery & Trade), Business Improvement Executive and Production Director. He also held a number of corporate roles, which included Group Technical Advisor, Group Quality Assurance Manager, and Group Operations Planning Executive. Alastair was also a Non-Executive Director of Carlsberg-Tetley Maltings. During his time with SAB Ltd he has held the following divisional roles, Senior Brewing Consultant, Technical Services Manager, Strategic Consultant – Raw Materials, Senior Brewmaster and Chief Brewer. Subject areas where Alastair has a detailed knowledge include brewing standards development (materials, process and packaged product), extract / beer loss management, draught beer packaging, draught dispense and product tasting. SAB operated 7 Breweries in South Africa producing 27 M Hls per annum. Alastair joined SABMiller Group Technical in 2005 and during his 6 years with SABMiller held the positions of Group Brewing Consultant and Head of Technical Stewardship. SABMiller had 186 Breweries spread across all 5 continents, producing 250 M Hls per annum, including the well-known brands Peroni, Pilsner Urquell, Grolsch, Miller Genuine Draught and Castle Lager. 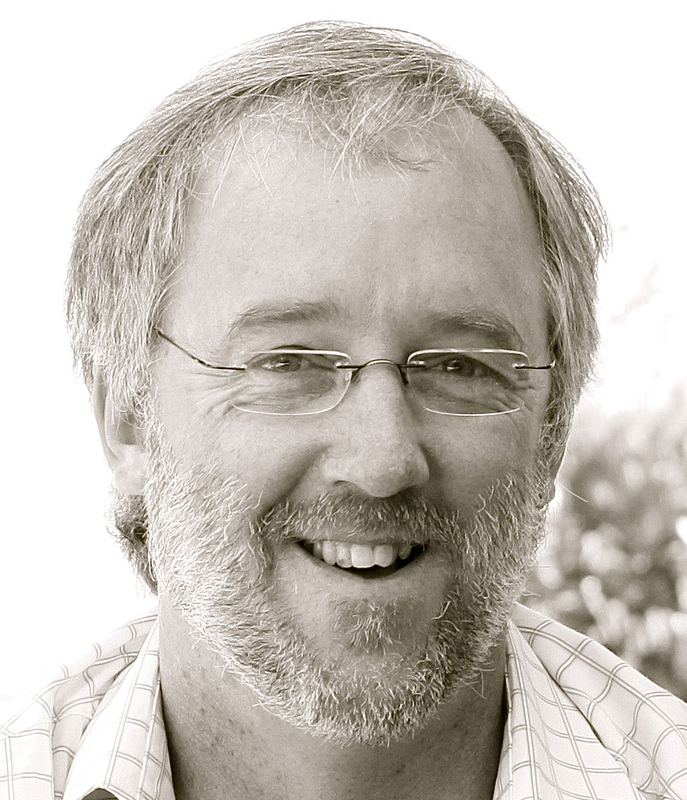 Alastair retired from SABMiller in July 2014. However, he continues to consult to drinks companies in Africa. Alastair is a Fellow of the Institute of Brewing & Distilling. He held the position of President of the Institute of Brewing & Distilling during 2010/11 and is currently Secretary and Treasurer of the Institute of Brewing and Distilling Africa Section. 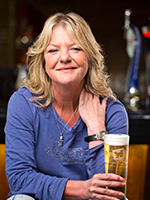 Kate has 33 years’ experience within the Brewing Industry. She has a BSc Biology Degree from the University of Salford, UK. Kate is a Master Brewer of the IBD and an Advanced Taster. She is the Past Chairman of the IBD – Africa Section. 1990 to 1994 – Shepard Neame Ltd, Quality Brewer. 2000 to 2004 – SAB. Trade Brewer KZN. 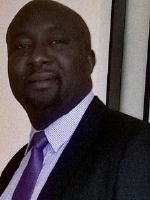 2017 to current – ABIn-Bev Learning and Development Co-ordinator for Brewing Zone Africa. 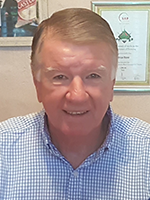 Clive Belcher is the Managing Director of Global Beverage Solutions; a company who provides training and human resources development consulting to the beverage and other industries. He joined the business in April 2005, after spending 15 years in the manufacturing industry with Unilever and SABMiller, the last six of which were spent at South African Breweries Training Institute and Chamdor Brewery in Johannesburg. 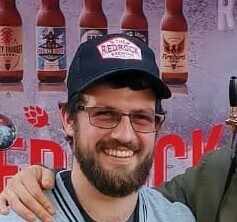 He holds a Chemical Engineering degree from University of Natal in Durban, and works across the globe in many different breweries and organisations providing training and expertise. He is also a certified Six Sigma Black Belt. 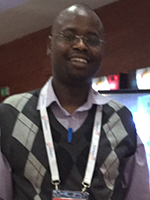 Clive manages the training and development for the Institute of Brewing and Distilling Africa Section and was the Convention Chairman for the IBD Africa Section Convention for the 2015 Convention in Maputo, Mozambique. In 2018, Clive was made a Fellow of the Institute of Brewing and Distilling. He lives in Cape Town, with his wife and family. An innovative and results oriented Mechanical engineer with a proven track record of driving out costs, implementing all Innovation and Renovation projects as well as coaching and mentoring team leaders and teams. I have acquired adequate skills in areas such as leadership and supervision, mechanical engineering, business development, key accounts development, quality and safety management and marketing design and planning. My current position has enabled me grow as a professional and as a result, I have been able to; apply best practice DMAIC principles, eliminate quality associated losses, perform granular deployments, implement all audit recommendations, execute identified business critical WCM practices, spearhead contract negotiations, run maintenance reports and ensure adequate capacity planning. Seun has a BSC in Chemical Engineering from Ahmadu Bello University, Zaria and he has the Master Brewer qualification from the IBD. 2018 to Current – Brewer, Guinness Nigeria PLC. Malcolm then moved to take up a technical brewing role at the large Rosslyn brewery before moving to head office where he was appointed as a Brewing consultant in Africa looking after Zambia and Zimbabwe as well as a technical role in developing ways in which beer could be brewed using cassava as a raw material base. During this time he was also involved with the development of brewers in Africa and later took up a role of Brewing L&D manager for Africa where young brewers were developed to meet the needs of the growing organisation. Malcolm holds a BSc in Natural sciences as well as a Diploma in Brewing, a post graduate Diploma in Brewing from Heriot Watt university and is also a Master brewer with the IBD. A brewing & supply chain professional with over 30 years experience in emerging markets spanning across Manufacturing, Innovation, Marketing & R&D, and a broad range of liquid categories from Clear Beer to Flavoured Alcoholic Beverages to packaged liquid food products. During this time I have held a wide breadth of senior roles in the SABMiller & ABInBev Supply organisation. I am a passionate and energetic leader who has a proven track record of leading teams to deliver projects in Innovation, as well as through change. I am a creative thinker and problem solver, and enjoy solving complex problems through collobaration across functions & geographies. My proudest achievement in Innovation is the conceptualization of a breakthrough form of new packaging for the 2010 Football World Cup (the Full Aperture Can), which once commercialized, received 6 Global Innovation Awards & 1 Local Innovation Award). I am a PMI Certified Project Manager, an IBD Master Brewer & hold a Honours Degree in Microbiology, and a Masters Degree in Industrial Administration. 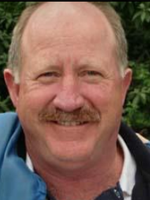 Brian is an Industrial Chemist by training and has been involved in the brewing industry for 42 years in the supply and servicing of speciality chemicals. He has the Fundamentals of Brewing from the IBD as is the only IBD Africa Section member to have achieved this qualification so far…Brian now has General Certificate in Brewing behind his name!! He is also a founder member of the Charles Glass Society, a charitable organisation. 1965 – Matriculation Certificate – Westville Boys High School, Westville, Durban. 1966 – 1969 – Chemical Technicians Diploma, Natal Technical College, Durban. 1980 Diploma Business Management, Damelin College, Durban. 2008 – Fundamentals of Brewing and Packaging Beer, Institute of Brewing and Distilling, London. 2010 – General Certificate in Brewing – Institute of Brewing and Distilling, London. 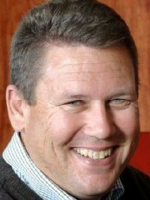 1974 – 2002 – Sales Director, Synda Chemicals (Pty) Ltd.
2002 – 2015 – Business Development, Spotzero Division of Improchem (Pty) Ltd.
Matthew has a BSc Degree in Chemical Engineering from the University of Witwatersrand and has the Diploma in Brewing from the IBD. Matthew has also completed the General Certificate in Packaging from the IBD. 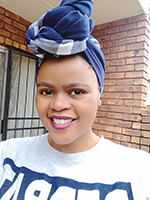 Anathi was educated at Zingisa Comprehensive High School and at the Cape Peninsula University of Technology (CPUT), Bellville, where she obtained a BTech Mechanical Engineering in 2014. Anathi has held the following positions in her career to date. Packaging Team Leader (Current Position). Terio has a Process Engineering Degree from Zambeze University. Terio started his career as a Brewing Technical Trainee with ABIn-Bev at Maputo Brewery. Management and Re-Use of Residual Vegetable Oils generated by hotels and restaurants in Beira City. Thenusha has a BSc (Honours) in Microbiology from UKZN and a BSC in Biochemistry from UKZN. 2017 – Current – ABIn-Bev Senior Packaging Laboratory Technician.